From a living room office in 1996 to our own multi-story eco-friendly commercial building in 2006. Linda Brady launched L.B. Associates as a proprietary concern in May of 1996 with the aim to publish The Extraordinary and Plenipotentiary Diplomatist. In June of the same year, she and an editor brought out their first issue followed by two more by yearend. They conducted two projects on a contract basis that year, which marked the beginning of Contract Publishing being the main focus of business of the company. Gross turnover in 1996 was low by American standards, but not bad for an infant proprietorship in 1996-India. William Hawke joined the team on a full-time basis in 1997 as Diplomatist Managing Editor shortly after his marriage to Linda (now Brady Hawke). Four editions of Diplomatist came out that year along with three contracted publications. A fulltime marketing person was added to the team that year. The following years experienced continued upward growth, in turnover, in the number of staffers, and in the types of clients we serve. The firm now employs more than thirty fulltime team mates and has another twenty empanelled writers that contribute on a freelance basis. There are also five monthly magazines – Diplomatist; Creature Companion; People and Management; Food Marketing & Technology INDIA, and Business of Agriculture. The proprietorship, L.B. 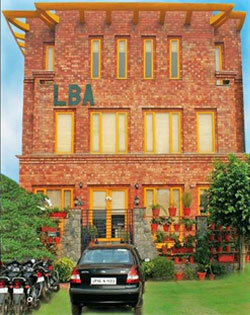 Associates, was incorporated to L.B. Associates (Pvt) Ltd in the year 2000. The firm built and moved into their commercial building in June 2006. L.B. Associates (Pvt) Ltd launched the annual India International Pet Trade Fair (IIPTF) in 2007. It is the only pet trade fair in South Asia, and is constantly growing.